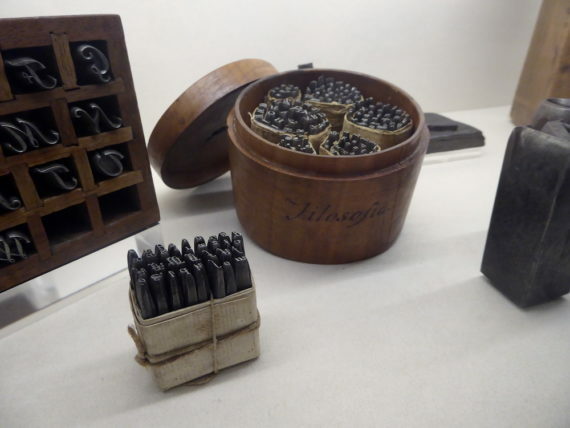 My final visit was to Tipoteca Italiana in the town of Cornuda, Treviso province. 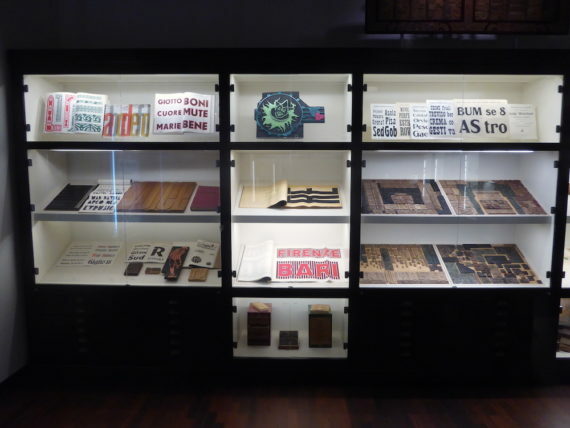 A legendary museum amongst the typography, print and design communities, the collection and archive was established by the Grafiche Antiga print company. 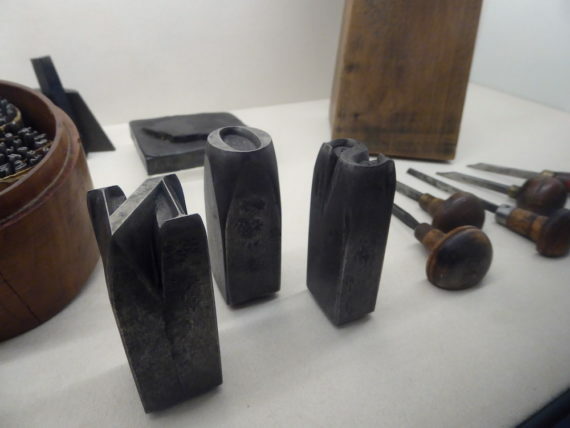 Realising that the equipment and expertise of letterpress in Italy was in danger of being entirely lost, the company spent several years travelling the country acquiring materials, all of which is now installed in a former hemp mill (plus the workers’ lodgings and church). 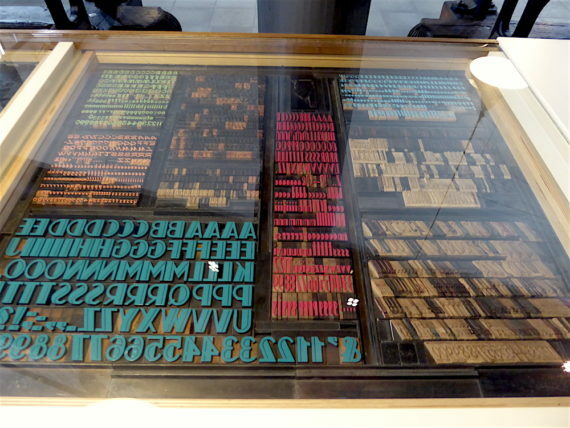 The museum houses an impressive collection of presses and type (1 and 2), but the real jewels are the archive of crafts related to the world of type: typeface design (3), punch engraving (4 and 5), matrix preparation and casting (6 and 7). 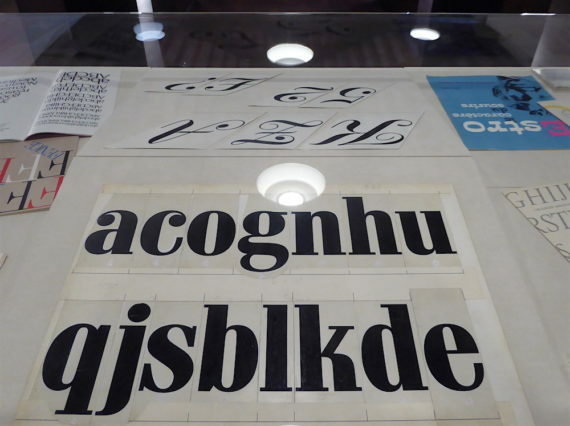 The Nebiolo foundry and its chief type designer Aldo Novarese are especially well represented. 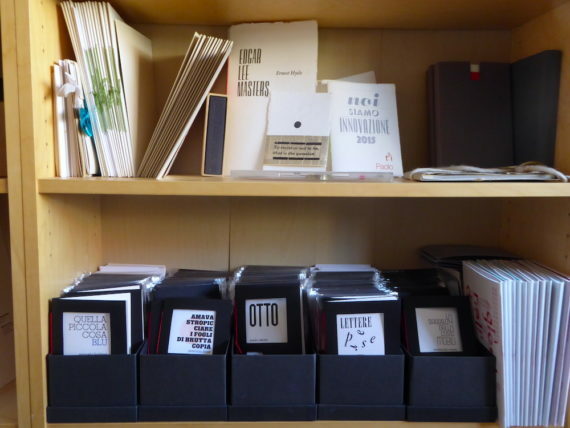 Combine that rich archive with the collection of type specimen books (8) and graphic art publications (9), and you can see why Tipoteca is so revered internationally. 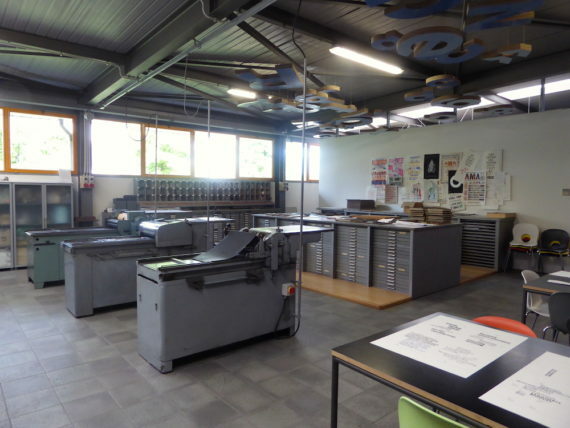 There’s also a well-equipped educational print space which functions as one of two production spaces for commissions. 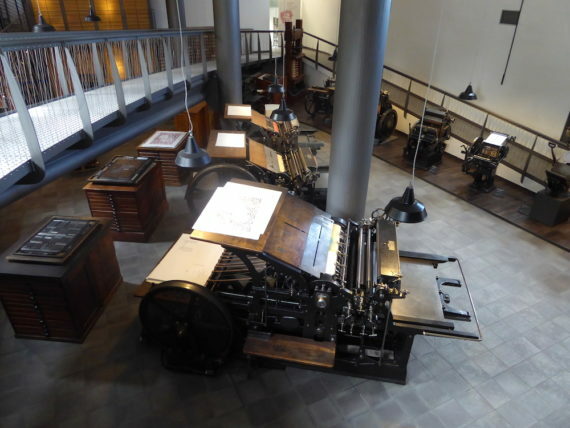 Note the smartly dressed printers. 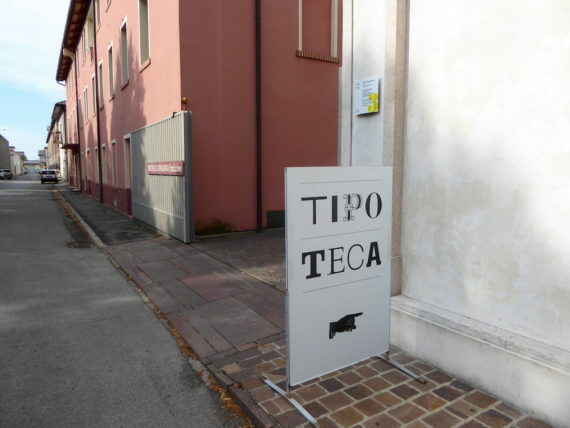 A full rundown of all the different sections of the museum is here on the Tipoteca site. Far better to read it from the source than for me to summarise what is an incredible experience. 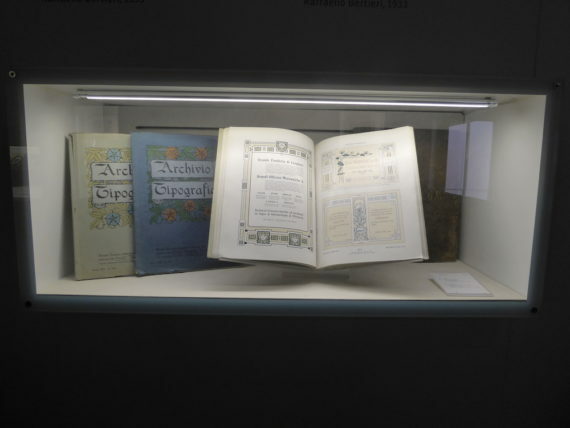 One final thanks to a-n for the bursary that facilitated this invaluable learning experience. 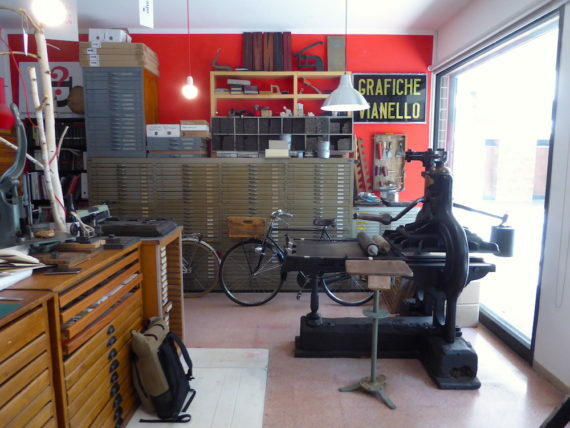 An important part of my Italian trip was visiting the studios of other artists taking part in Letterpress Workers. 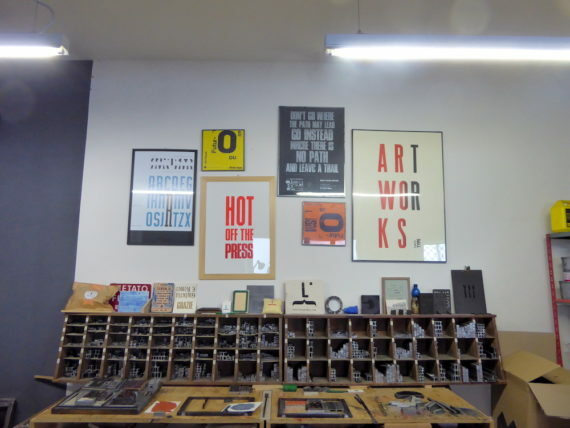 Private working spaces are always fascinating: they offer valuable insights into an artist’s work and methods, which in turn feeds back into one’s own practice, both overtly and subconsciously. 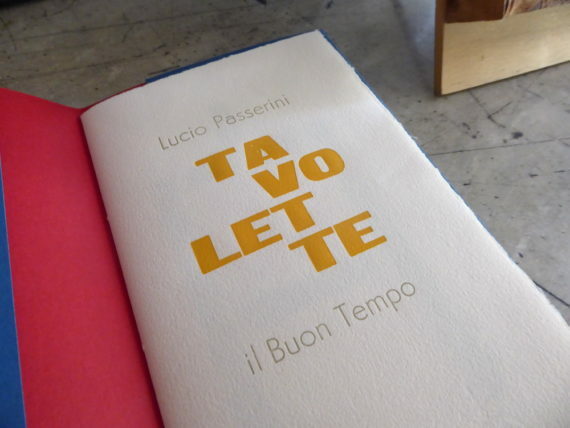 In Milan, I was fortunate to be invited to visit Lucio Passerini. 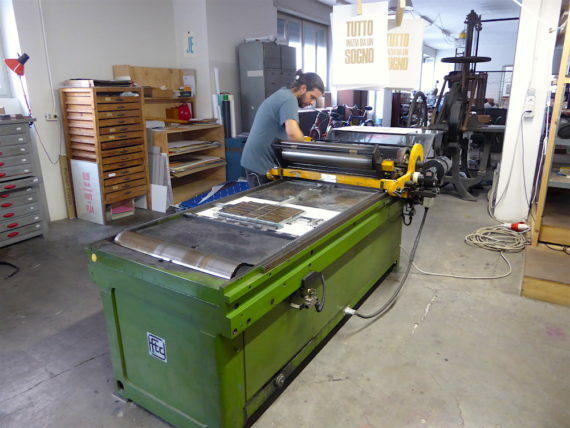 Lucio is credited with teaching many of the Novepunti team so perhaps we have him to thank in part for the existence of Letterpress Workers. 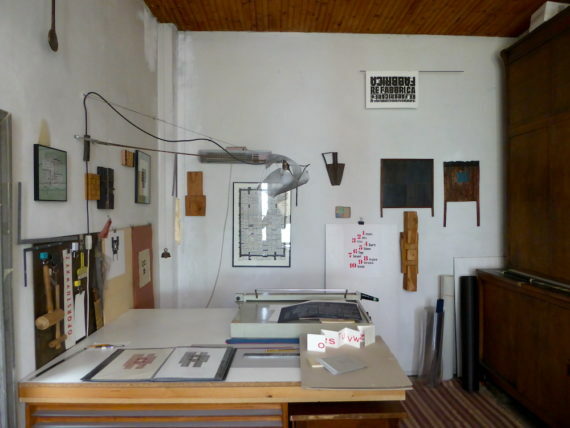 He established his studio in 1982 and it’s a serene, carefully arranged space. That sense of measured calm is reflected in Lucio’s beautiful work, which he issues through his Il Buon Tempo imprint. (tr.- “the good time”.) 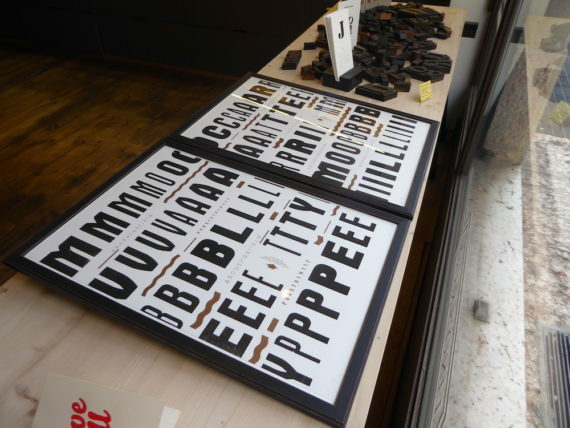 A really interesting feature of his work is a focus on a specific form – it seems almost like a geometric rendering of the human shape, and it repeats throughout his work with letterpress type, linocuts and the wood sculptures that hang on the studio walls (above). 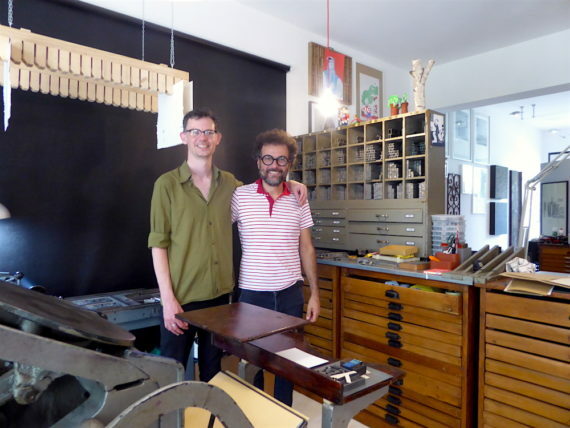 Many thanks to Lucio for his invitation and his time. 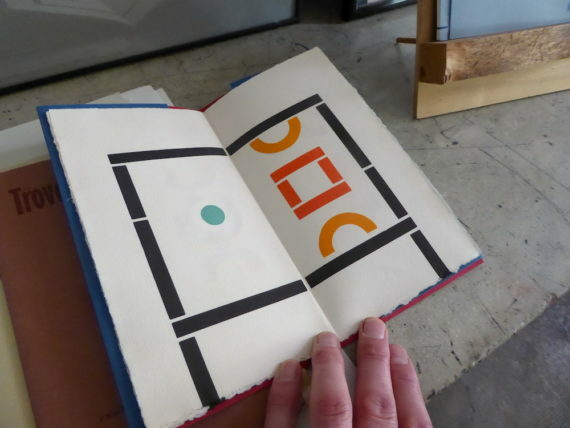 During the Letterpress Workers weekend, I admired the work that Paolo Celotto was making. 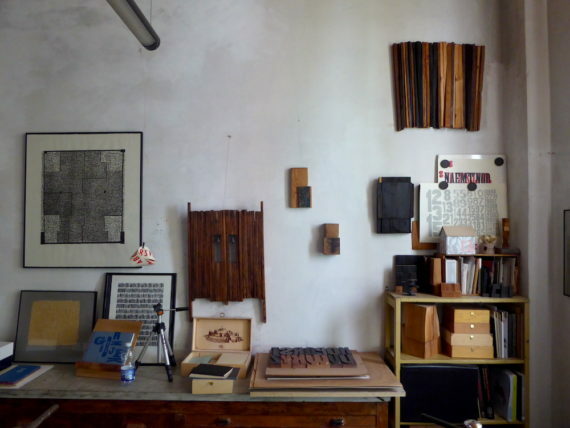 As the next leg of my trip meant an overnight stop in Treviso, it was a great opportunity to visit Paolo’s studio in a quiet, residential corner of this lovely city. 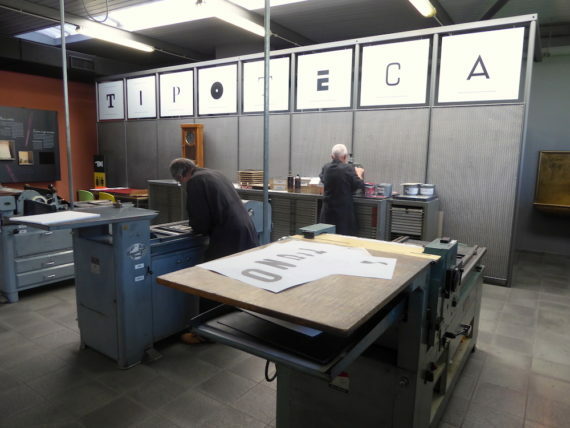 The studio was established five years ago and a large part of the type collection came from Grafiche Vianello, a Treviso printshop that was closing down. 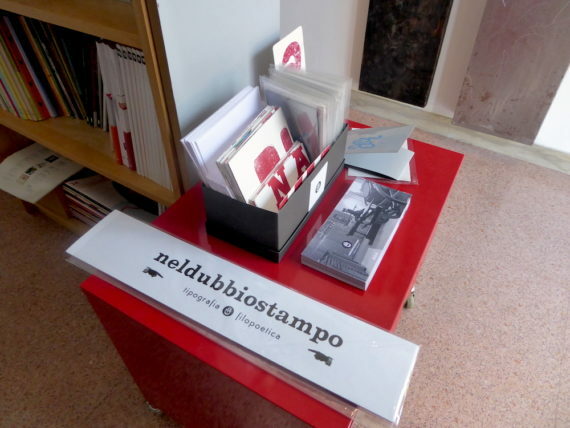 Paolo publishes work through his “nel dubbio stampo” imprint, which I think translates broadly as “if in doubt, print”. Sound advice. 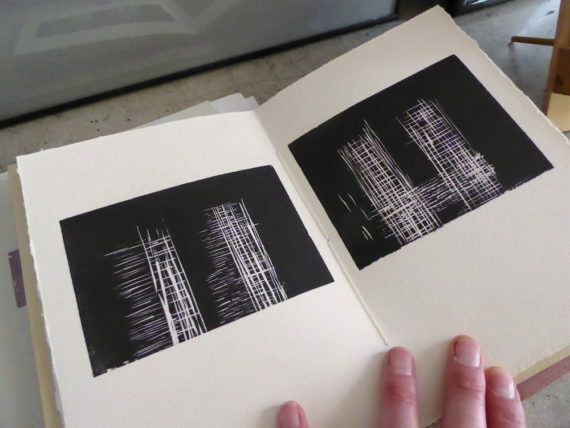 Much of the work so far comes in a chapbook poetry series, with writing mainly from established poets, but also from Paolo himself on occasion. 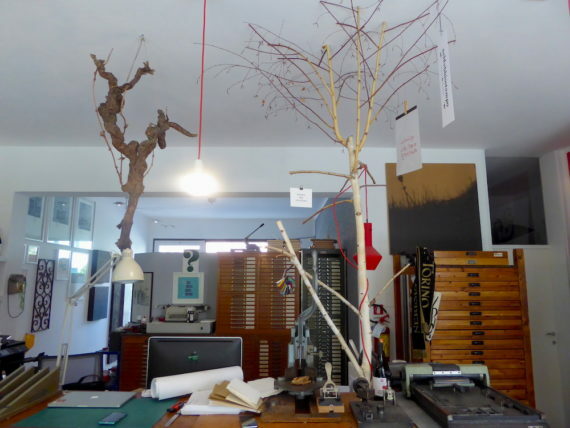 As with Lucio’s studio, Paolo has taken time and trouble to arrange the space in subtle ways, incorporating unusual elements like these branches. 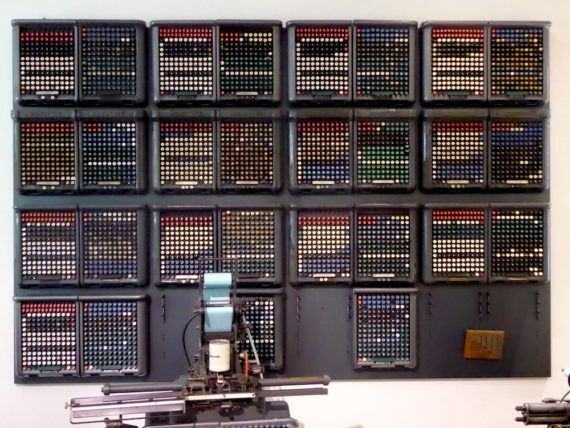 The result is an intriguing, inspiring environment in which to create and produce. 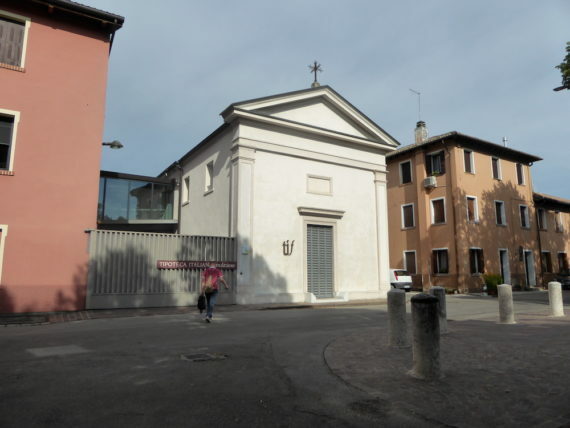 Once again, many thanks to Paolo for his time and hospitality, and also to his intern Deborah for interpreting. 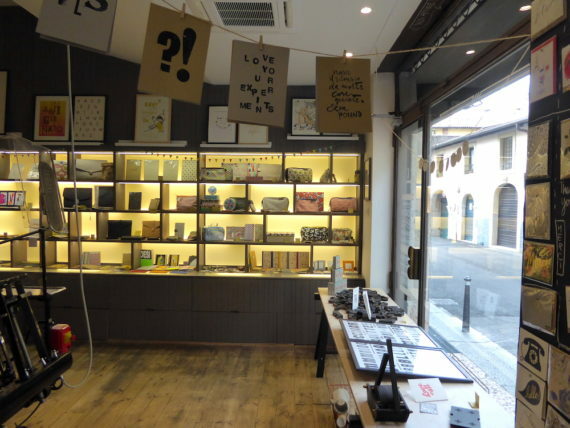 En route to Treviso I stopped off in Verona to visit Lino’s & Co. As well as a print studio, Lino’s is also a retail store stocking a great range of all-letterpress prints, cards and ephemera. 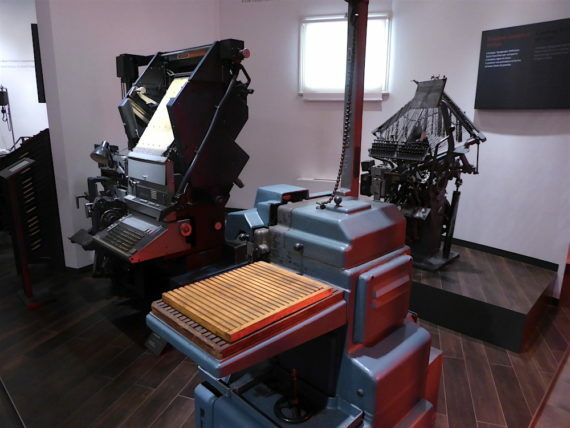 They print all the stock on the premises using a Heidelberg platen (above) and a large-format FTC cylinder proof press (below). 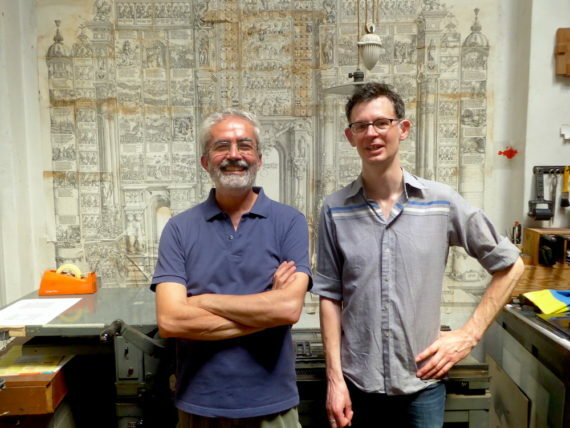 Alessandro Bombieri is the house printer and was kind enough to take time out to talk about their work. 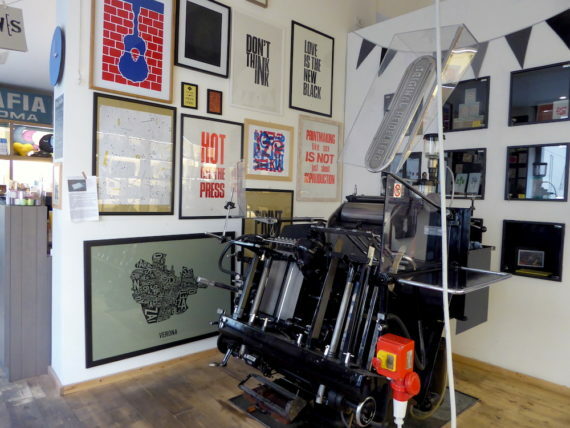 A selection of the studio’s work in the print space.